Incorporated in 2001, Falcon Drilling, LLC is a mobile, fast and cost-effective top hole drilling company that services major and independent oil and gas companies. We specialize in disposal wells, shallow horizontal wells, shallow oil wells and top hole drilling. Since we drilled our first Marcellus well in 2007, we now operate a fleet of drilling rigs capable of drilling up to 12,000 feet utilizing a 24 inch casing or smaller. Currently, we have rigs running in the Marcellus serving all well designs. 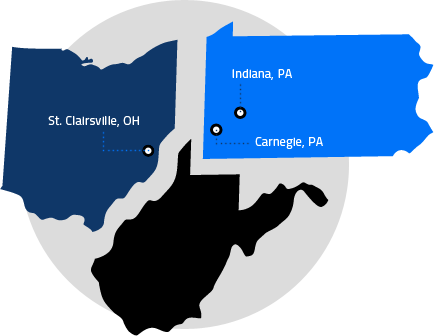 Our primary operating area is in the Marcellus Shale and Utica Shale territories of Pennsylvania, West Virginia and Ohio. Our commitment to working safe is paramount. We provide extensive oversight, training and guidance to each employee in the field every day on the job. Returning home safely each night to those most important to each one of us is the best motivation. We are an active member of PICS and each of our employees has completed the industry standard SafeLand program.